P & T Cell members met on all working Mondays to plan the ongoing and future P & T cell activities. The following recruitment drives were conducted during the month and results are awaited. High Peak Software Pvt. Ltd.
P & T Cell Faculty Members met on all working Mondays at 10: 50 am to plan the ongoing and future P & T cell activities. Only a few campus recruitments were conducted during the month due to the ongoing University examinations and Christmas vacation. Four students of AISAT got job offer from Wipro Ltd. The placed students are listed under Achievements . Visa & Travel Programme schedule for the Internship by Shimane University, Japan for the selected S5 CSE students viz, Mr Ritwik Deepa & Mr. Joyal Sebstian is from 19/1/2019 to 4/2/2019. The whole expenses are sponsored by the University. Only 12 students are selected for the programme from Kerala. Mr. Rahul Jacob — S7 CSE. P & T Cell members met on all workingMondays to plan the ongoing and future P & T cell activities. MrJoyalSebastin and MrRitwikDeepa both from S5 CSE are selected for Internship in JAPAN from Jan-2019 by SHIMANE UNIVERSITY with 100% scholarship including travel . Recruitment Drive by VVDN Technologies Pvt Ltd. was conducted for S7 EEE and ECE students on 21/11/2018. But nonegot selection. National Level Test by Wipro Ltdwas on 16.11.2018 for S7 placement eligible students of all branches. Five students (4 from CSE and 1 from EEE) got shortlisted for Interview on 4/12/2018. Placement drive by Hexaware Technologiesfor S7 ECE and CSE students was on 19.11.2018But only one could make out to the final round but got eliminated towards the last. Recruitment Drive by Sutherland was held on 27/11/2018 at AISAT . 11 students got placement offer from Sutherland. Three Students of S7 CE cleared UES-2018 . They are eligible for SSB for Indian Navy held between Jan- April 2019. Mr.P AndrsonBritto — S7 CSE. Placement Training session on Aptitude was held on 6 /10/2018 and 7/10 2018 (Saturday & Sunday) by FACE, Bangalore for placement eligible students of all branches . One more intensive training session on Soft-Skills was held on 26 /10/2018 and 27/10 2018(Friday & Saturday ) by Sharp Skills, Trivandrum for placement eligible students of all branches . Selected Students of S5 (2 students) and S7 CSE (4 students) had interview by Shimane University. , Japan on 29/10/2018 at AOTS Nippon kerala. Rawdata Technologies @ AISATRawdata Technologies conducted campus recruitment drive at AISAT on 26/2/2018. Six students of S8 CSE are shortlisted. Ms. Sruthy Narayanan of S8 EEE received placement offer from Asimov Robotics on the in-house drive on 30 th Jan 2018. Hearty Congratulations to Ms. Marteena Roy S8 ECE and Ms. Sandra of S8 CE for bagging placement offer from AGILE BUSINESS CONSULTANCY PVT LTD, UAE. Hearty Congratulations to Mr. Jyothis V James of S8 CSE for receiving Placement offer from POORNAM INFOVISION Pvt. Ltd.
Unicom ERP Solutions Pvt Ltd drive was conducted on 22/1/2018 at AISAT. Mr. Renold Xavier, S8 CSE got job offer. An in-house pooled drive by Think N Learn, Bangalore was conducted on 5/1/2018. Two of our students Ms SATHYALAKSHMI V , S8 CE & Ms. FARZANA V A, S8 CE got the job offer with 7 Lakhs per annum CTC. Recruitment by Sutherland Global services Pvt. Ltd was conducted at AISAT on 12/1/2018 for all final year students. 13 AISATians got job offers. NIMO Planets conducted placement drive at AISAT for s8 EEE, ECE & CSE students on 31/1/2018. AISAT students bagged offer letters from Spectrum Soft-Tech Solutions Pvt Ltd, Mr. Toshy Job and Ms. Athira P.V of S8 ECE & Mr. Tashin Thomas and Ms Ruth Abey George both of S8 CSE are selected students. The recruitment drives of Attees Info tech, Logic Software Solutions, Geniocode Innovations Pvt. Ltd, Appzoc Technologies Pvt. Ltd were held at AISAT and the final rounds are awaited for all the above with 25 students shortlisted. On 18, January, 2017, Sutherland recruitment drive was held at AISAT and 38 students got job offer letters. The online test of Spectrum Pvt. Ltd was held for all branches on different days in the month of January. A total of 110 students attended the same. 32 Students attended the drive by Ociuz Technologies on 30,January,2017 at Thejus College of Engineeering, 17 of AISATians cleared the first round. A talk on Job Opportunities In Atomic Energy was held for 2013-2017 batch by P & T Cell on 31-1-2017 from 2 p.m. The programme was led by Dr. B. BABU, Senior Scientific Officer and Head of Division, Indira Gandhi Centre of Atomic Research. This was followed by a seminar on “Overseas Job and Education opportunities” by Ms. Naziya Yusuff, Head, Education & Training can Approve Immigration. The final results of Geniocode Innovations Pvt. Ltd, CSS CORPORATION recruitment drive were announced and 6 students got job offer letters. The following is the list of successful candidates. Revathy K. R. ( S8, ECE) – Geniocode Innovations Pvt. The screening test of Softshore technologies was held on 13, February, 2017.Two students of ME were shortlisted for the final round. The first round of DRIZEE SOFTTECH was held at AIM on 21, February, 2017. Out of 60 students participated, 46 were shortlisted to the final round . Apart from the regular in-house training activities, the Training Activity by Trinity Skill works was conducted on 18 and 19 , February, 2017 ( Saturday & Sunday) for 2014-2018 Batch (S6) eligible students. 62 students of CE and ME registered for National Council for Technology and Training for ‘C’ Prize / ‘Mech’ Prize scholarship. The exam for the same is fixed to be conducted on 7, March 2017 at AISAT. On 21- 12-2016 a recruitment drive of KAAR Technologies which was held at RSET, Raveena Ravikumar of S7 CSE was selected for a salary package of 5 Lakhs/ annum. Congratulation to Ms. Raveena. On 21 st Dec 2016 AISAT P & T Cell conducted two recruitment drives in tie-up with ‘Bag Your Jobs’. The in- house drive of Appzoc Technologies Pvt. Ltd for CSE, shortlisted 10 students of AISAT out of 11 in total. In the placement drive of Geniocode Innovations Pvt. Ltd 10 students was shortlisted out of which we represent 3 from ECE. For the above two drives the final interviews are scheduled during the second week of January 2017.A total of 134 students ( 95- Geniocode Innovations Pvt. Ltd & 39- Appzoc Technologies Pvt. Ltd) participated from 5 Engineering Colleges. A total of 124 job offers excluding UES were obtained for the first batch (2012-2016) that is, 110 % on eligible students . During the month of June students received job offers from NEST, Accel Frontline, Geo Structurals Pvt. Ltd., Cabot Technologies, AISAT, Advenser Engg. Services Pvt. Ltd and PACE. Various In-house training activities are conducted for the students under the placement and Training Cell functioning in the college. A few recent activities includes..
Trinity Skill works on Communication Skills , Professional Etiquette and Grooming on 20 th Aug (Saturday)and 21 st Aug 2016 (Sunday). The Chopras on General Aptitude and Interview Tips on 23 rd Aug and 26 th August 2016. A two-day placement oriented training program was conducted for the 2017 batch of AISAT on 6th and 7th of August 2016.A total of 117 students participated for the training out of the 126 registered students. The workshop was designed to provide them with a toolkit to solve problems faster and improve their test taking strategies .The training program covered the following aspects like, Discussion on the Importance of Aptitude Preparations, Quantitative Ability, Analytical Reasoning and Logical Thinking & Data Interpretation Quantitative Ability. AISAT students bagged a dream job offer from THINK N LEARN in the placement drive held on 6th August 2016 held at AISAT. Out of 30 students placed from 250 students who came from different colleges of kerala ,10 are AISATians.Out of 30 selected students ,7 are directly placed (2 students from AISAT)and remaining students has to undergo 3 months internship and if satisfied will be absorbed.The package after internship is Rs.50,000/-CTC per month. AWARENESS SESSION ON TCS CODEVITA An interactive session was carried out by TCS on 21st July, 2016 for students of S7 from all the branches. The session as carried out by Mr.Ousephachchan where he introduced us to various disciplines of TCS – travel technical, health life etc and gave a brief description about TCS. On- Campus drive by Sutherland Global Services, Kochi was held on 29th Feb 2016 exclusively for AISAT. 81 students participated in the drive. Out of which 20 students bagged an offer letter. On – campus drive by Zeta Softwares was held on 17th March 2016 exclusively for AISATians. Zeta Softwares was introduced by our Principal Dr. K E George. The final round of the drive was held at their office. Riya Jolly (S8 CSE) and V C Pailymon (S8CSE) bagged offer letter after qualifying the various rounds of selection process. Zeta Software India Pvt.Ltd is organizing a placement drive at AISAT on 17th March 2016. The recruitment is for the posts of Implementation Engineer, Marketing Engineer & Programming Engineer. There will be a final interview for the finally shortlisted candidates at their main office on a later date. 20 students from every discipline is facing the recruitment process on the very day. HCL TalentCare is the newest business venture of HCL Corporation, the parent company of HCL Technologies Ltd and HCL Infosystems. 21 students of AISAT (1st Batch, 2012-2016) participated in HCL Talent Care Recruitment which was held on 25th February (Thursday) 2016 at Sree Narayana Gurukulam College of Engineering Kadayiruppu. 10 out of 21 students cleared the 1st phase which consisted of a detailed online test aimed at finding the “Jobability Quotient” or “JQ” of the candidate. This was followed by the shortlisted students being interviewed in the 2nd phase and 8 students got selected. In the placement drive held on 25th February, 8 students from AISAT received placement offers with their excellent performance. DEVIKA P V and KRIPA VARGHESE (EEE), BRINDA GEORGE , MEENU MATHEW,JERRIN JOSEPH,ARUN JOHNSON (ECE), SILPA A B,IRENE MARY BOSE (CSE) are the SELECTED students . AISAT hosted the recruitment drive of KAAY-LABS, Chennai on 13th February 2016. Students from various colleges attended the selection process. AISAT students bagged 7 placement offers from the total 10 offers. Meenu Mathew (ECE), James Emmanual (EEE), Catherine K.G (CSE), Susmitha Josephine (CSE), Effin Jolly (CSE), &Steffy Peter (CSE) are the selected candidates. A training programme on ‘Professional & Clinical Approach to Aptitude Tests (Quantitative, Logical & Verbal Ability)’ was conducted for the sixth semester students on 6th and 7th February. The programme was of extreme benefit for the students to get an opening to how to face aptitude questions. 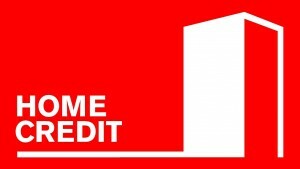 AISATians placed in Home Credits India Finance LTD.
Three of our students got a placements offer as marketing heads in Home credits India Finance LTD on 8-2-16. Arjun Sankar, Arun Benedict & James Emmanuel, all from the Electrical and Electronics Engineering Department are the students who grabbed the job. In a placement drive held by Nucleus properties for the Civil Engineering students on 2-2-16, Ahammed Kabeer and Devdas E of Civil Engineering Department of AISAT bagged a placement offers. The selection of students and in-house training for the sixth semester,2017 batch students was held at AISAT on 2nd February 2016. The students were given talks about Group Discussion tips, Resume preparation and Aptitude testsby the placement and Training Cell AISAT. One-day workshop on Android was conducted for the sixth semester B.Tech students on 30th January,2016. Android, which is the basic operating tool for mobile application, is the need of the present generation. The workshop was handled by STEPS, T&D wing of Spectrum. AISAT placement statistics is showing an excellent boom, with again two from the eligible bunch getting placed in LIBRA Engineering works. Mehel Thomas (S7 ME) & Varun K Mohan (S7 ME) have already received a job offer from LIBRA Engineering works. AISAT students took part in recruitment drives by Doodle Blue Innovations Ltd. and Media Systems India. The level 2 of Doodle Blue drive was held on 30 th Dec 2015. Four students attended the same. The final round of the above said companies are postponed due the ongoing university examinations. AISAT students have bagged an excellent placement offer letter from Sutherland Global Services. Derry Joseph (ece), Sanjeed Salam (ECE), AnilaAndrew (EEE), AnishSoman (EEE), &Binoy Bernard (EEE) are the students who received an offer letter. AISAT offers an excellent platform for online tests and interviews with efficient online /internet facilities on board. Already college has conducted a few online examinations in this regard. The following companies’ recruitment tests took place in AISAT computer Centre. India Skills Report 2016 registration was done for Confederation of Indian Industries on 5th and 8th of 2015. S7 Students of all branches registered for the same and an online test was conducted after registration and certificates were issued. Special training by Col. Kuriakose A.I of Cavalier Academy was delivered on 27th Oct 2015 to students short listed for naval recruitment drive. The training programme was extremely useful in gathering brisk knowledge about the Naval Recruitment requirements. AISAT students received placement offer from Experion Technologies and Procys Technologies.Ann Davisand AlsafKN received placement offer from Experion Technologies. AISAT hosted the first phase of naval recruitment on 28th October 2015. Students from about 6 colleges participated in the series of test and interviews. Among the 21 students shortlisted for SSB AISAT Students accounts to be around 10 in number. The Indian Navy has decided to choose AISAT as the venue for the first selection process for their recruitment that is scheduled to be on 28th October 2015. AISAT students with candidates from around the state will attend the India Navy’s First selection process on the respective date. ‘THE HINDU’ newspaper will be issued for the selected students of AISAT for a week with an aim of improvising their communication skills as well as dailies reading appetite. Six students from AISAT bagged a placement offer from ITC Infotech. On 17th and 18th Sep 2015, 19 final year students from ECE, CSE and EEE having 70% aggregate with no active backlogs attended campus drive at MACFAST, Thiruvalla for IBS solutions. Out of which 7 cleared Aptitude round , 5 the GD round and 2 finally placed. Ms. Minnu Shaji, S7 ECE and Ms. Mamatha Vishal , S7 CSE received job offers from IBS with a remuneration of 3.3 Lakhs per annum. One day ‘Mock Selection Process’ was conducted by C L Educate Ltd, Kochi on 19th Sep,2015 Saturday. Out of 87 students participated from all the branches, 42 students cleared the online aptitude test with cut off set at 30%. The selected students were divided into 4 groups and GD was conducted for them. From the group discussion round 10 students were selected for the personal interview. The Mock Selection process was aimed at equipping students to face a screening process. A session on ‘How to face interview’ was conducted by Your Wings Bangalore on 16th September 2015 with Mr. P V Sreekanth as the resource person. The main aim of the program was to make the students understand the tactics of an interview session. Awareness on competitive exams (GMAT, GRE, IELTS, SAT, GATE) was given along with ‘how to prepare resume’ by IDP Education (I) Pvt. Ltd. Ms. Haripriya P was the resource person. A seminar on ‘Overseas Education and Job Opportunities’ by RIYA Education, Kochi was held on the same day with Mr. Sabari Kishore as the resource person. As the students have billions of new opportunities to craft a well-supported career, this was a guideline for such promising AISATians.